Wayward X-Man Marvel Girl only managed to leave a brief psychic message with Rogue before being ripped away from Earth - and thrown back into the middle of an extraterrestrial war! Now, Rogue and her team of X-Men are on an intergalactic search-and-rescue mission, hoping to pull their long-lost teammates from the fray. But in what condition will they find Marvel Girl, Havok and Polaris? Plus: In the aftermath of SCHISM, the X-Men are divided. 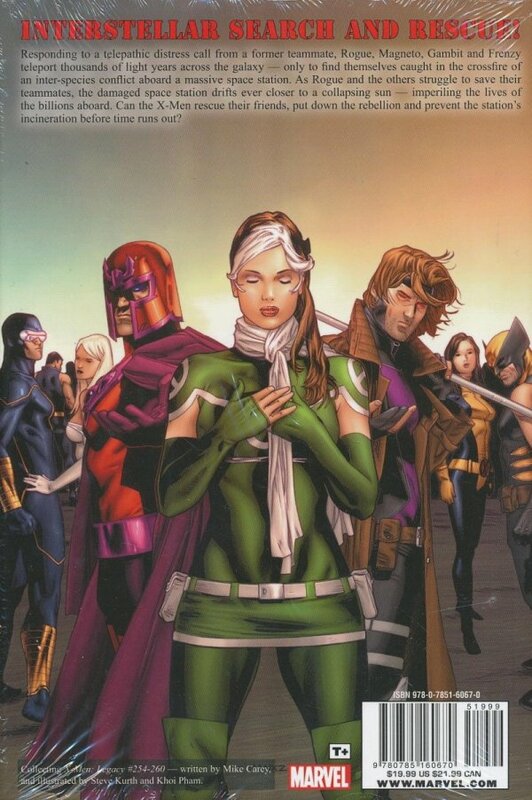 As the teams part ways, Rogue, Magneto and Gambit attend to unfinished business, hoping to avoid answering the question: Whose side are they on?